Kirsty began private piano tuition at the age of five and was later offered the opportunity by her secondary school to learn the flute. Throughout her school career, Kirsty participated in small concerts, both as a soloist and as part of a group. She was a member of the school Orchestra, Wind Band and Junior and Senior Choirs. Outside school, she attended Desta Laiolo's Ballet and Theatre School for eight years where she achieved high grades in ballet, tap and modern dance. For her final two years at DLBTS, on top of attending her regular classes, she worked as Assistant Dance Teacher to the younger children. She was also involved in several dramatic arts companies, including nine years at The Drama Workshop (in Bearsden) and four years at UK Theatre School (in Glasgow). 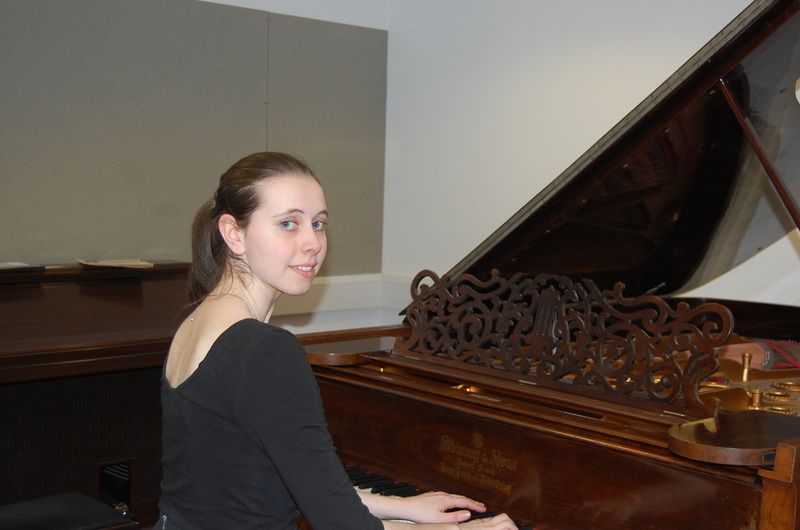 In 2012, Kirsty received direct entrance into second year to study a Bachelor of Music at the University of Aberdeen. She played the flute in the university Concert Band and accompanied the university Rock Gospel Choir ('Revelations') on the piano in two concerts. She was a member of her church choir, which involved singing, playing the flute and conducting. She graduated in 2017 and is now working in the local libraries of East Dunbartonshire. She is a member of the Milngavie Choir and is about to start a post-graduate degree in Library and Information Studies at the University of Strathclyde. Kirsty hopes to eventually combine her loves of music and working in libraries to become a music librarian.